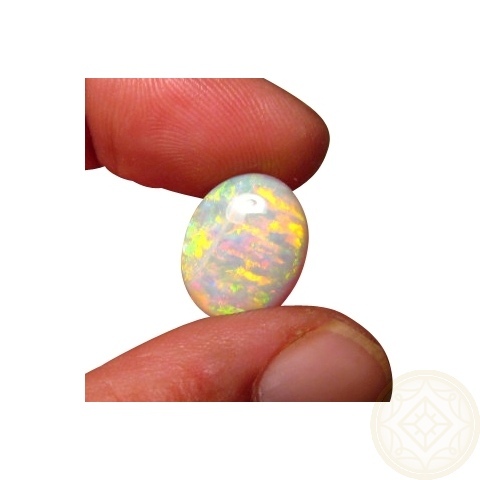 Big Crystal Opal with very bright colors in a mackerel pattern. 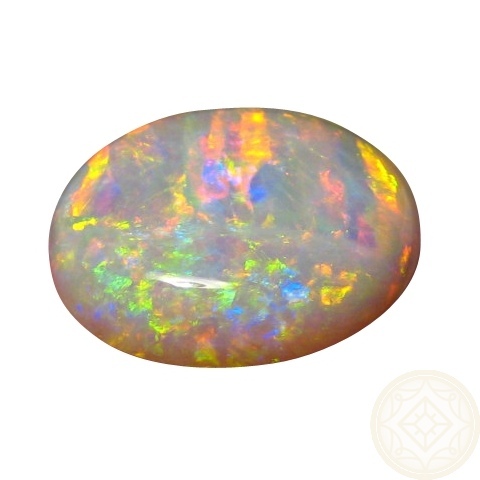 An intriguing natural stone ready to set. 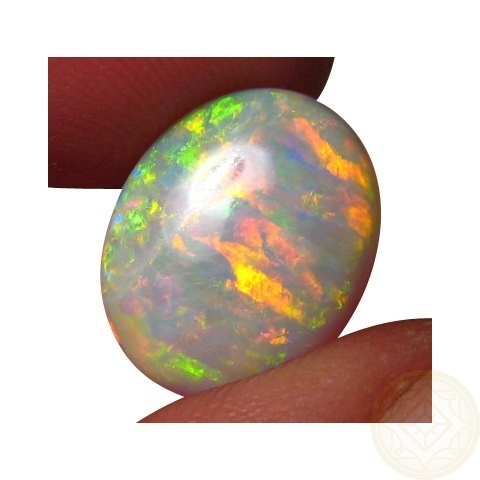 This Crystal Opal is unique with its not often found mackerel pattern that shows in bands across the stone. 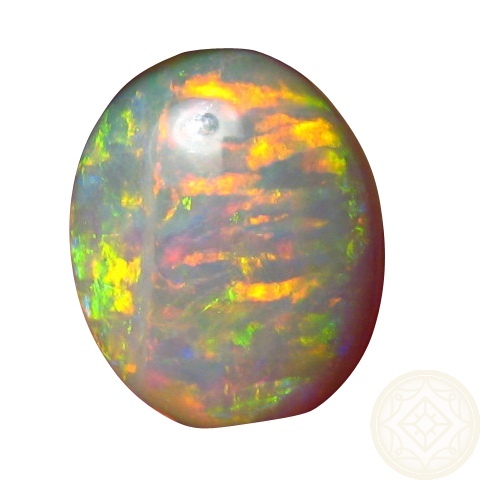 The Red, Green and Yellow colors are very bright over the entire 9.29 carat stone. 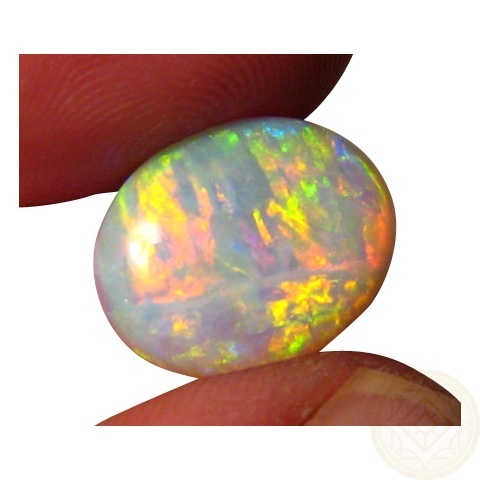 A semi translucent Opal from Coober Pedy that has been cut to an oval shape and finished with a high polish. 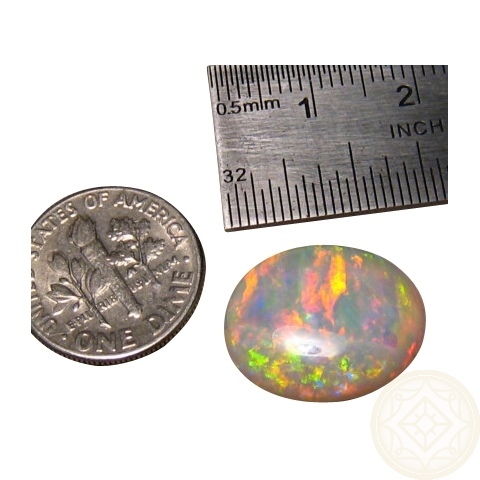 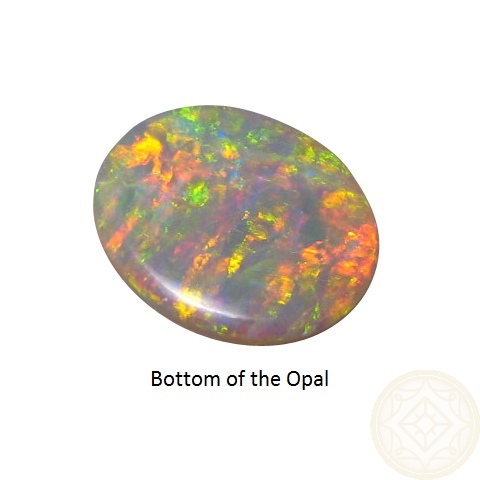 Due to the rarity of the combination of pattern, size and bright colors, this Opal could be added to your gem collection or it would be stunning in a Pendant or even a ring if you like them big. 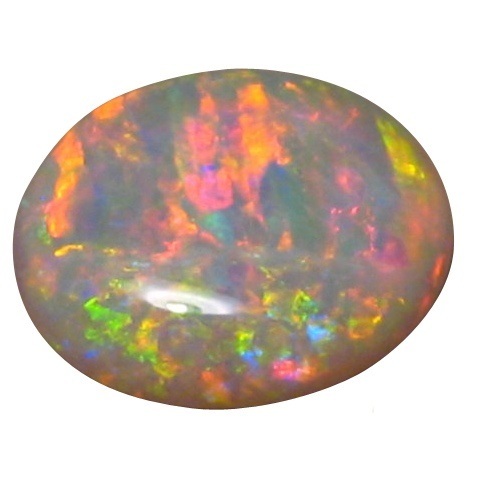 Part of a retired miners stock so please allow at least 2 business days for shipping.